In my previous posts, I began to ask questions about how to find user voices in the archives. In my last post, I moved to a more direct discussion of sources from actual users — jazz musicians– and their relevance to social history methods. But I haven’t yet raised the bigger question: how did everyday users contribute to the historical record on cannabis use during the late nineteenth and early twentieth century? In another speculative exercise, using a combination of disparate source material, I will begin to lay out the foundation of an answer to this question. Further research in this area, connected to my dissertation project, will hopefully crystallize into a more workable hypothesis about casual marijuana use during this period. 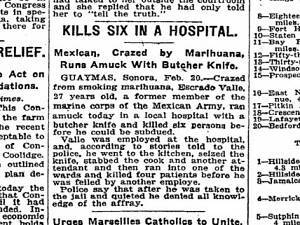 Until recently, scholars dismissed evidence of widespread marijuana use before 1930. For the most part, this was motivated by the much larger and more politically relevant focus on alcohol prohibition and opiate regulation during the same period. Perhaps the most influential work on marijuana was written by legal scholars Bonnie and Whitebread; in 1970, they revisited the so-called “Anslinger thesis,” the argument that Harry J. Anslinger played an influential role in building the anti-marijuana consensus during the 1930s. Other scholars problematized the familiar gender, racial and class stereotypes about marijuana users. Problematize these stereotypes, but acknowledge that users existed! But a failure to acknowledge a dedicated, though small-scale, marijuana-using community in large cities during the late-nineteenth and early-twentieth century leaves significant gaps in the story. I want to fill these gaps by looking a bit deeper into the marijuana-using community on its own terms, in order to provide a bit of context free from essentializing formulations. The earliest bits of evidence, shared elsewhere on Points, are from nineteenth century literary figures and medical practitioners in Europe and the United States. Beyond these more esoteric descriptions of marijuana use, the published record also suggests that marijuana was a social drug and an illicit economy grew up around its use. Media sources offer a new perspective and avenues for analysis. Through careful critical readings of published sources, we can begin to see the marijuana-using community take shape. Authorities, media figures, and activists were all keen on stigmatizing some groups as likely candidates for marijuana peddlers. Patrols and beat reporters focused on street vendors, small groceries, and tenement dwellings, and on working-class African-American and Hispanic men. Tamale Stands, a prime target for dope police. Indeed, the majority of newspaper reports in the New York Times between 1922 and 1938 reinforced these stereotypes. But other areas of concern– particularly the behavior of military personnel and government workers (especially those in the Civilian Conservation Corps and Works Progress Administration) and fears about the safety of children– also crystallized media attention on a different type of marijuana using community, one more distinctly middle class and white. 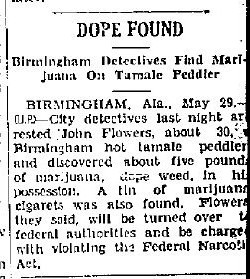 Several stories appeared about raids on homes operated by adult men and women and filled with youthful marijuana smokers, and about arrests of peddlers at CCC camps and Fort Dix. While the racial profile of other arrestees were emphasized in many stories, in these stories a racial profile was not mentioned– except to say that these operations were likely directed by organized crime, or due to the influence of racial others. By recognizing these silences, it is possible to discover an entirely hidden marijuana using community, one much more diverse and open than previously assumed. To be fair, historians have acknowledged the existence of “tea-pads,” –spaces, often in private residences, in which marijuana was served to paying customers– in their works. 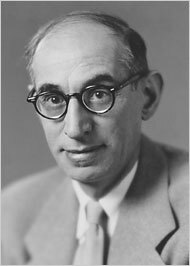 Martin Booth devoted an small section of his history of marijuana to the tea pad, and Ernest Abel suggested that there may have been more tea pads than speakeasies at the height of Prohibition. Two specific articles, published in 1883 and 1938, suggest a longer history of tea pads and inspire more research on this topic. Herbert Kane, an investigative journalist who became a popular writer through his work on Chinese opium dens in the 1870s, wrote the famous “A Hashish-House in New York” for Harper’s Monthly. The article itself follows a moralistic template common to the period. Starting with a vivid description of the exoticism of the décor and clientele, he whimsically describes his ritual use of the drug and the “hashish dream” that followed, a dream that whisked Kane away to the brink of madness before being rescued by his companion and coming back down to earth (literally, the streets of New York) at the end of the article. So by the twentieth century, and specifically during the 1930s, the tea pad seems to have become less insular. This is especially surprising in the context of reefer madness. And in 1938, an investigative journalist for The New Yorker offered some perspective on the thirties pads by visiting “Chappy’s Pad,” on 140th street in Harlem, with a female companion. Located in a tenement apartment, he described Chappy’s place as “a middle-class pad – four rooms with nine couches set against the cracked, cream-colored walls, with a few limp easy chairs to handle the overflow.” A faint blue light emanating from a phonograph jukebox playing “special recordings with weird ritualistic themes” illuminated one of the rooms. Chappy served two types of marijuana user: some purchased their marijuana cigarettes at the door and smoked outside or in their own homes; others, who paid a premium for “wear and tear on [his] furniture and for atmosphere and rent,” enjoyed their smoke inside. I am continuing the search for additional evidence of tea pads, their culture, and the knowledge networks that supplied these places with cannabis to sell and people to use the drug. I am open to suggestions and feedback on this question in the comments below.